The 2018 Infiniti QX80 is one of those adventure automotive industry creations that offer the best performance on all road conditions. The QX80 2018 is an exceptional SUV introduced in the UAE with a high-performance engine. It is laced with driver’s assistance features and advanced technologies making all your rides smooth and enjoyable. Infiniti is famous for its luxury vehicles and bringing the adventure automotive in the line-up reflects that the brand is ready to extend its market. The luxury SUV by Infiniti is updated second time for the 2018 model with some refreshed styling and adding a new design element to enhance the appeal. Adventure automotive industry had been notorious for not providing good-looking adventure vehicle, and this has changed with time. 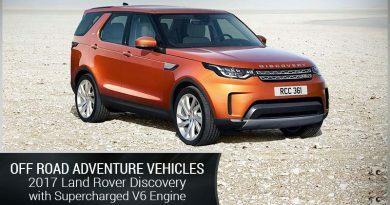 Now, many car brands offer adventure vehicles with high-performance and amazing good looks. Also, the 2018 Infiniti QX80 is an example that an SUV can be luxurious, powerful, good looking and enjoyable to ride. It is available in new colours as well, including Moonstone White, Mineral Black, and Champagne Quartz. Here we have discussed in detail about the new styling, performance attributes, advanced technologies and safety features of the 2018 Infiniti QX80. The adventure automotive styling has seen some major changes in recent years. Whereas, the Infiniti has revised the styling of the 2018 QX80 to make it look more appealing and commanding. The headlights are 3.9-inches raised with toned thick chrome grille and totally revised lower front fascia. From interior to exterior, the design department at Infiniti has tried to give the best new look to this adventure automotive with a range of new colours, and many new exterior design elements. 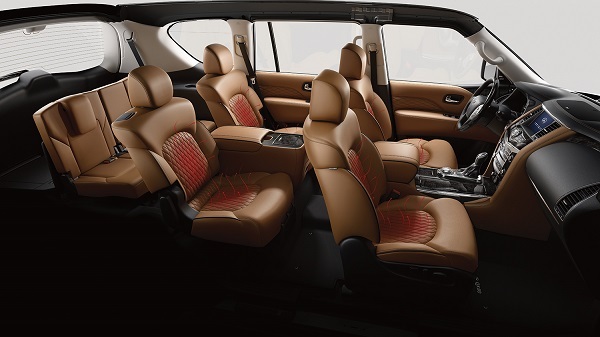 This is a large size SUV in the luxury segment and offering a number of technologies, new design and many features providing comfort and convenience to both driver and passengers. The Infiniti QX80 2018 has athletic outlook with a refreshed design giving modern vibes to onlookers. It has Infiniti’s signature eye-inspired LED headlights, LED daytime running lights and Adaptive Front Lighting Systems (AFS) making the exterior more appealing and aggressive. New design elements offer utility and built for a purpose other than adding good looks to the SUV. It has a toned thick chrome grille and a revised lower front fascia. 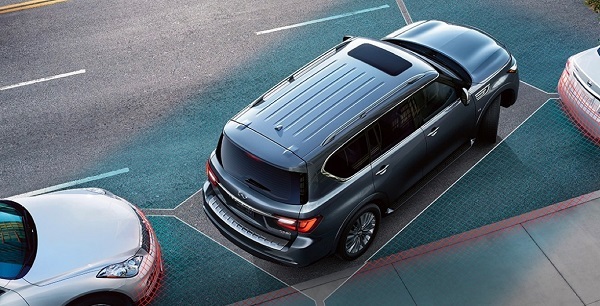 The rear of the 2018 QX80 also has a striking design, a wide chrome strip connects with the newly added LED taillights. It has standard 20-inch wheels while 22-inch wheels are available as an option. Furthermore, the A-pillar forward is a significant upgrade the QX80 has received for its 2018 model. The overall appearance of this large SUV is improved. 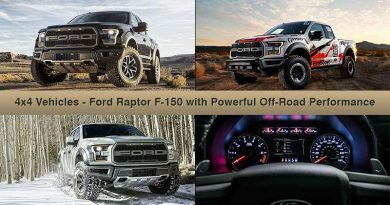 It is a body-on-frame SUV with a total weight of 5,888 lbs and comes with Hydraulic Body Motion Control to manage road imperfections and body roll. Also, a Center High-Mounted Stoplight (CHMSL) is added to enhance the appeal of the exterior of 2018 QX80, and UV-reducing solar glass on windows to keep the harmful sunrays blocked. The body-colour running boards integrated with splash guards keep the underbody of this SUV covered on rough terrains. On the front, it has a new double-arch grille having 3D wave patterns and chrome accents making it look aggressive and appealing. 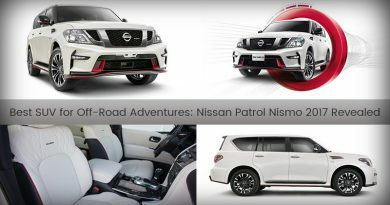 Having roof rails, electrically adjustable and heated LED turning signals, power sliding glass moonroof with sliding sunshades and many more such features make this adventure automotive a best option for luxury SUV enthusiasts. Unlike other adventure automotive creations, the 2018 Infiniti QX8 has an interior to provide utmost comfort and convenience to the occupants. The ergonomically designed interior is equipped with fine luxury materials and every design element is placed in the right place for better accessibility and utility. The auto locking, power windows, rear privacy glass, adequate in-cabin space to seat 8 passengers and plenty of advanced technologies. It also has Tri-zone Automatic Climate Control System, Micro-filter and Auto-recirculation, 8-way power adjustable front passenger seat, 10-way power adjustable driver seat and 40/60 split folding for third-row seats. The 2018 Infiniti QX80 has a leather-wrapped multifunctional steering wheel in front of fine vision electroluminescent gauges providing all important information to the driver. Powered by a 5.6-litre 32-valve V8 engine featuring a Variable Valve Event and Lift (VVEL) technology providing better fuel efficiency, smooth responsiveness and lower emissions. The engine can generate 400 horsepower and 550Nm of torque has a top speed of 200 Km/h and allows this SUV to sprint from 0 to 100 Km/h in 3.7 seconds. It has a fuel efficiency of 13mpg in city and 19mpg on the highway making it a strong contender in the luxury adventure automotive industry. Fitted with INFINITI All-Mode 4WD System, multiple driving modes, a Hydraulic Body Motion Control System, independent double-wishbone front and rear suspension and towing capacity of 8,500 lbs. 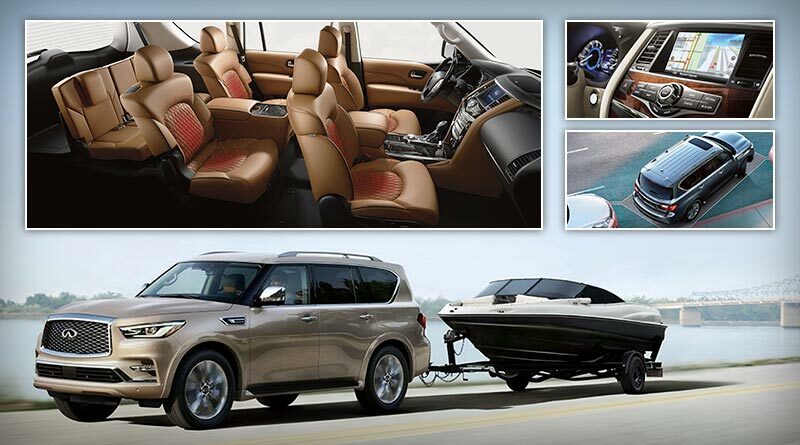 The 2018 Infiniti QX8 offers tons of advanced technologies to provide optimum comfort, convenience and a smooth ride every time. 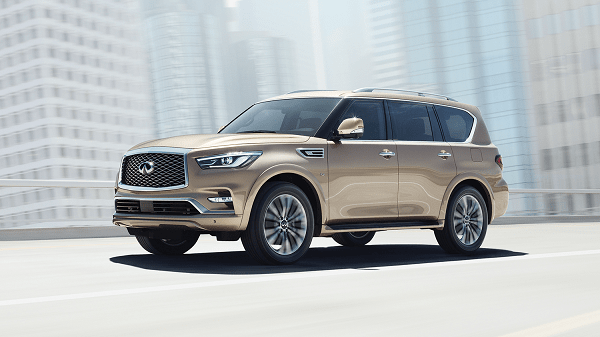 The adventure automotive-related technologies along with infotainment features make the 2018 QX80 a highly desirable SUV in the luxury segment. These are some of the noteworthy advanced technologies that make the QX80 SUV a highly advanced and functional vehicle. Real-Time Traffic Information and many more. Having multiple advanced technologies, a revised design and a high-performing engine is just not the end of the list. The all-new Infiniti QX80 is laced with some of the cutting-edge safety technologies enabling it to deliver powerful and safe ride on all terrains. 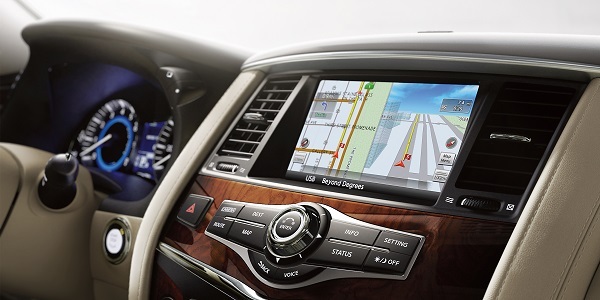 Here are some of the most prominent safety technologies that also assist drivers. Adventure automotive industry has many new luxury SUVs available in the UAE market. 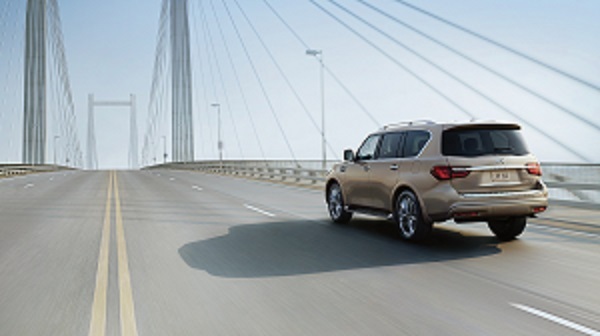 Whereas, the 2018 Infiniti QX80 comes with multiple convenience features, powerful engine, advanced safety technologies and a wide range of customization choices. 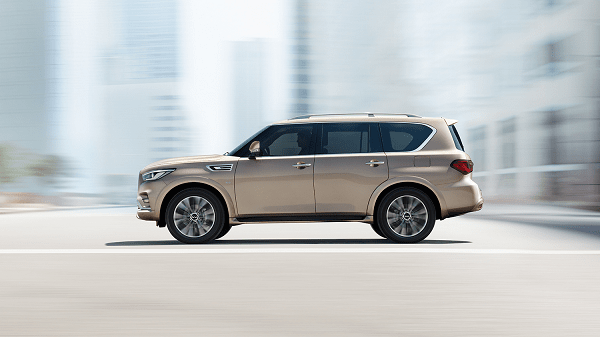 The starting price of the 2018 Infiniti QX80 is AED 307,500 being a luxury large size SUV. It can go as high as AED 335,000 depending upon the optional features chosen. ← Best Adventure Vehicles – Top 5 Super SUVs of the World Reviewed!